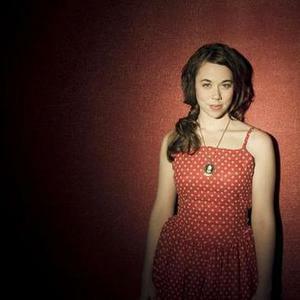 Sarah Jarosz emerged on the scene about five years ago as someone to watch. Jamming onstage with bluegrass icons named Grisman or Skaggs, she played her mandolin with a sure touch and real joy. It looked and sounded comfortable in her twelve-year-old hands. She started writing songs on the guitar, took up the banjo, and won a bunch of awards. While her instrumental talents are formidable, let's make one thing clear: Sarah is a singer. She's just flat got it. Her voice is velvety smooth, agile, and powerful. With subtle use of colors and effects, she inhabits her songs the way a fine actress does her role. Overall, her music feels good, avoids over reaching. Nothing's contrived. Recently a High School graduate in 2009, Sarah is that rare, self-possessed teenager. Her schoolteacher parents have raised her well, providing the skills, support, and freedom to become the confident artist that she is. Beautiful, talented, and just a little mysterious in a wholesome, Wimberley Texas hill country kinda way, Sarah is at home in this world. She knows what she's about and is ready to get out there and make her mark.